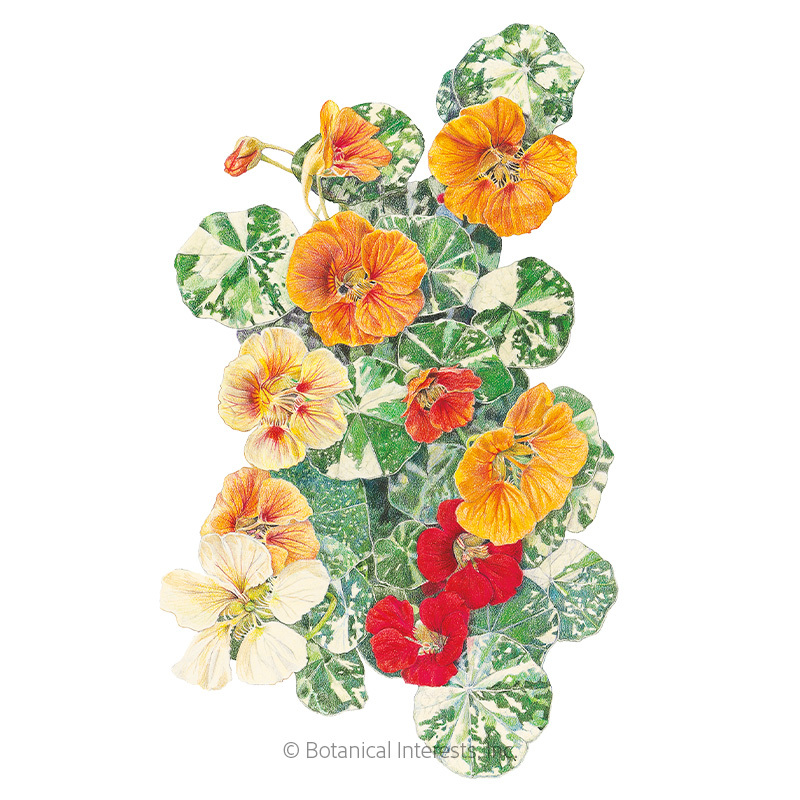 Every salad should have edible nasturtium flowers. Fiesta Blend is a spicy feast of color with flowers in orange, yellow, and orange/peach bi-colors that brighten up hanging baskets and large containers. This beautiful plant is especially exquisite gracing a stone garden wall. The blossom petals are a festive addition to salads and pastas. Plant some in your vegetable patch to attract pollinators. Withstands coastal salty air. Hardiness: Frost-sensitive, tender perennial usually grown as an annual; perennial in USDA zones 10 and warmer. 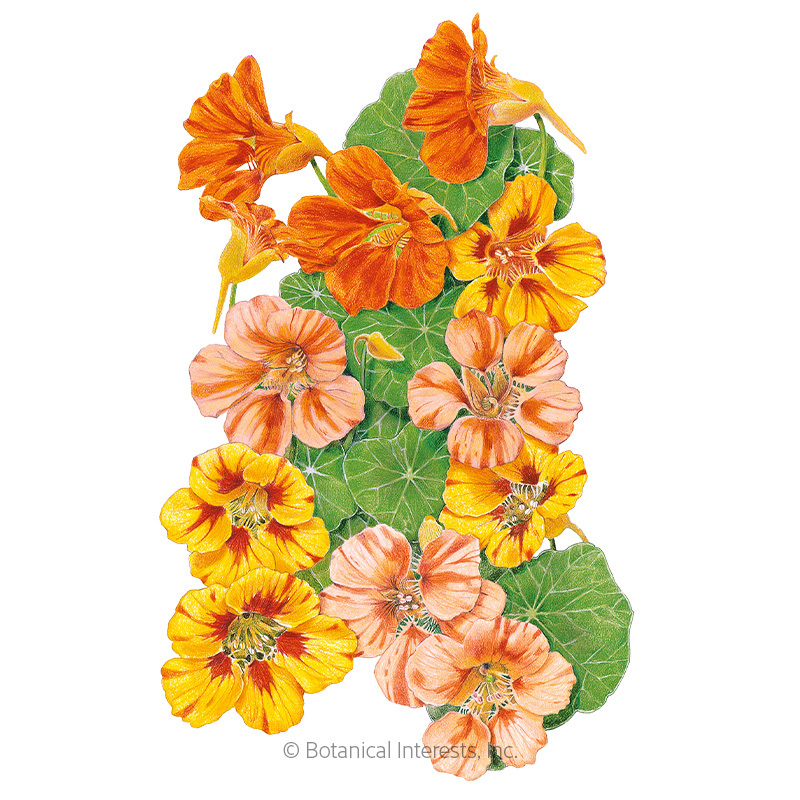 Variety Information: 2"–2½" blossoms in shades of orange, yellow and orange/peach bicolors. 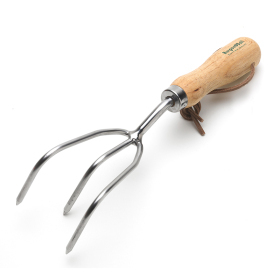 When to Sow Outside: RECOMMENDED. 1 to 2 weeks after your average last frost date. 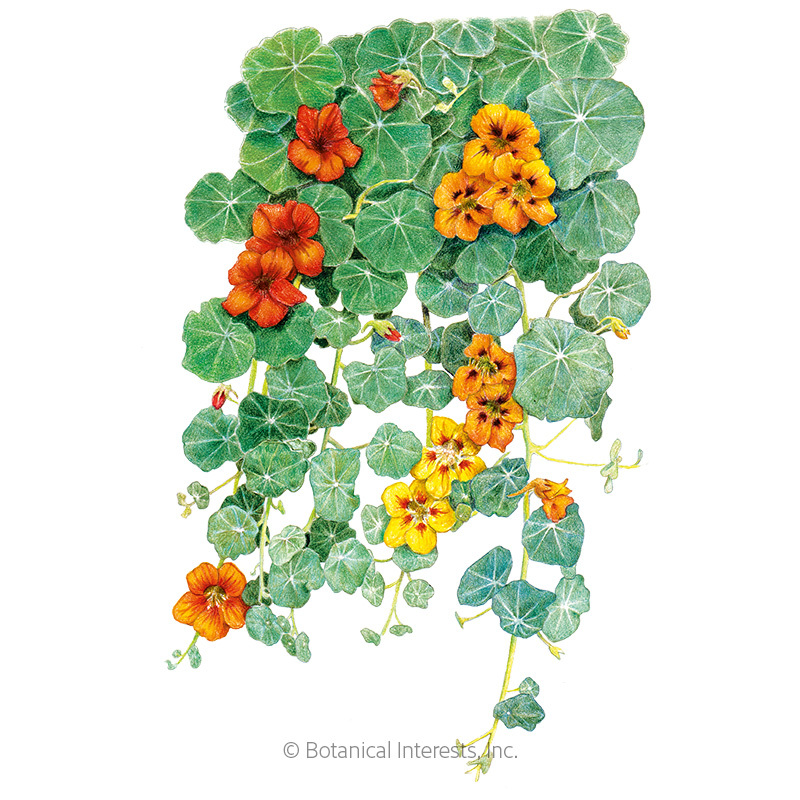 Mild Climates: Sow in fall for winter bloom. 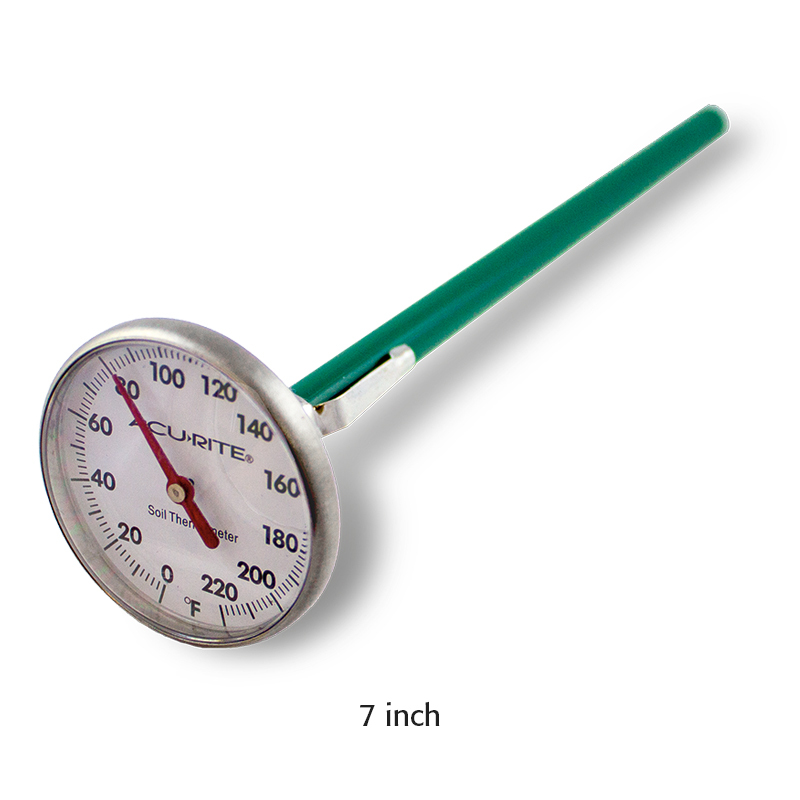 Ideal soil temperature for germination is 55°–65°F. When to Start Inside: Not recommended. 2 to 4 weeks before your average last frost date. Roots sensitive to transplant disturbance; sow in biodegradable pots that can be directly planted in the ground. Seed Spacing: A group of 3 seeds every 8" – 12"
Thinning: When 2" tall, thin to 1 every 8" – 12"
I sowed these seeds late summer/early fall in my kohlrabi and romanesco bed as a companion plant. Very pretty, and there were little-to-none of the pests that usually plague brassicas.